New Zealand is a small country with a population of approximately four million people. Braille readers enjoy a high standard of braille produced locally for educational, leisure and employment use. Therefore it is only fitting to find a way of recognising the contribution individuals have made to braille, past and present. A number of individuals have worked tirelessly giving their support, passion and lifelong dedication to braille in New Zealand. Recalling and honouring their contributions can help us learn from history, and allow us to grow, promote and develop braille into the future. To pay tribute to these individuals BANZAT has great pleasure in establishing a hall of honour. Inductees shall be listed on the BANZAT website or in any other place trustees may determine from time to time. Criteria for admission into the hall of honour are listed in Policy 5 Hall of honour. The first three inductees into the hall of honour were admitted on Tuesday 17 September 2013 by Resolution 16-5 and their names were announced to the Annual General Meeting of BANZAT on that day. On the 4th May 1998 Stephanie began working for the RNZFB, Transcription services as a Braille producer. Over the next 12½ years she mastered the braille literary code, textbook code, the Nemeth code and produced a large number of tactile graphics. Stephanie’s work was always meticulous. Diagram production using the thermoform method requires lots of patience, attention to detail and an understanding of what will and won’t work for the students. Stephanie’s experience as a teacher, and her knack of how to size diagrams, graphs and maps and provide enough detail to enable the student to answer questions was greatly valued by us all. Her ability to look at a picture and compile a succinct transcriber’s note, giving enough information, but not the actual answer, to be used in examination situations was recognized by other producers who often sought out assistance when needed. Braille Materials Transcribed by Stephanie Conn: In those years Stephanie transcribed 904 titles made up of 1515 volumes. She produced 56,689 braille pages which include 8,140 tactile diagrams. Many of the school text books and diagrams are still in use, and being repeated as students require them. She served as a member on the Nemeth Code Committee, assisted with copyholding and could always be relied upon to give clear and accurate responses to braille queries. One year she and her husband Stewart catered a Hangi for her colleagues, and her love of family shone through as she shared milestones in her sons’ lives. In 1999 when the decision was made that Transcription Services should be shifted from Manurewa in to Newmarket, Stephanie was key to negotiations with management to ensure that a fair deal was agreed upon for those staff affected by the move. Once settled in to the new work area, Stephanie’s love of walking was evidenced, as every day at lunchtime you would find many of the braille team exploring walking paths and tracks around Newmarket. As a treat, every second Friday, a new lunch bar or eating establishment was located and food quality tested. When her illness was diagnosed and future treatment agreed by health professionals and her family, Stephanie continued working as a braille producer, moving between work and home, where an office was set up to enable her to continue right up until ten days before she slipped away. The passion and excitement she shared when her sons married and then the birth of grandchildren was wonderful to see and be a part of. The no-nonsense, common sense, calm way Stephanie dealt with her illness, work and family commitments was humbling and made you appreciate how precious life is. 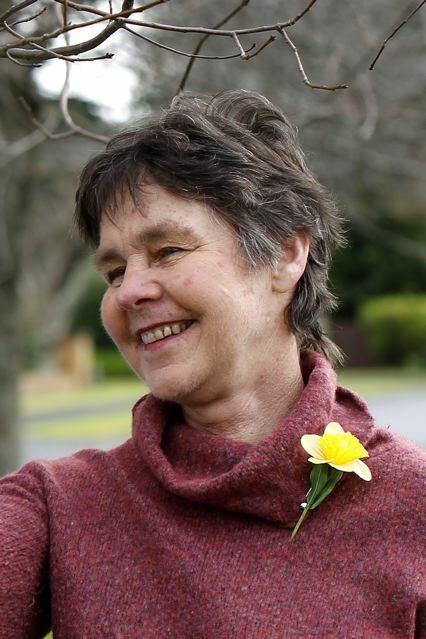 The Royal New Zealand Foundation of the Blind, teachers, students and colleagues would like to acknowledge Stephanie’s dedicated service to visually impaired New Zealanders over the years. We are the richer for having known her with the legacy living on through family, friends and the braille she produced for upcoming students. The above citation is available for download as a Word document here. Dorothy’s involvement with blind people started in the late 1950’s and early 60’s when she provided mathematics tuition to blind students attending Epsom Girls’ Grammar School. On her retirement her fascination with braille led to a new career as a volunteer braille transcriber and braille was to become one of her ongoing passions for many years to come. The library at the Royal New Zealand Foundation of the Blind still includes 136 publications with her name on the title page, a total of 38,788 pages of braille, many of them full of mathematical formulae or intricate raised line diagrams. She was a key member of the North Shore Braille Group who met regularly to proof each others work. Her knowledge of the Nemeth code (a code for transcribing mathematics into braille) was very thorough and her need to get the correct answer exactly right was recognised and appreciated. She has served more than one term on the Braille Authority of New Zealand; was a key member of both the Nemeth subcommittee and the committee that wrote the NZ UEB Manual and also wrote the very first Nemeth Exam with the alias Dotty as the author. Dorothy’s involvement with the Braille Authority also forged new links with Resource Teachers Vision across the country. She was a huge support to the Auckland Visual Resource Centre over the years. Her skills and work touched many BLENNZ staff and children. Dorothy was also very supportive of the training course for Resource Teachers Vision, providing braille support as teachers prepared to sit the Braille Proficiency Exam. Dorothy was an amazing person and made a huge contribution to things braille in New Zealand. She was a wonderful teacher and mentor. Dorothy must have been quite camera shy because for the many years she has worked in braille, and the numerous conferences and meetings she has shared in, it has proved quite difficult to find a picture of Dorothy at work doing what she loved, braille. 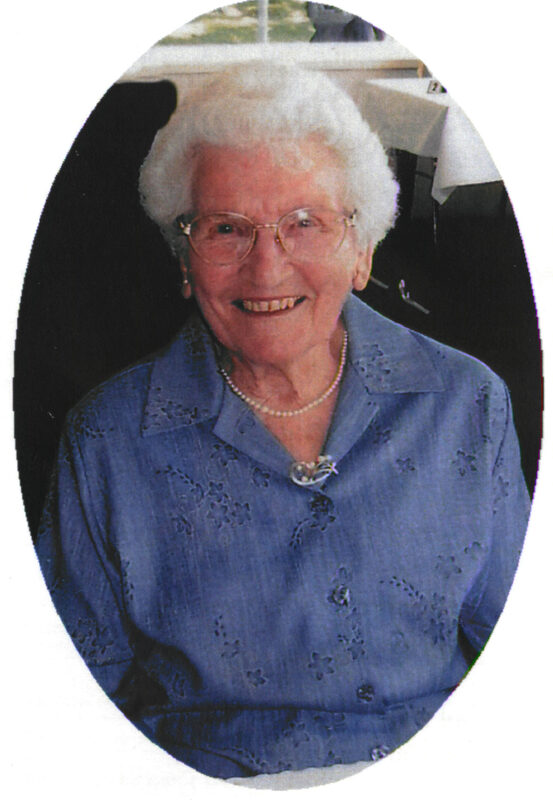 Dorothy passed away in March 2012 and will be sadly missed. Terry Small was born on 26 April 1926. The oldest of three, he lived most of his life in Manurewa. He lost his sight as a pre-schooler but the exact cause of his vision loss remains uncertain. In the years of the depression his parents had little money for specialist advice. Terry attended the Foundation of the Blind’s school in Parnell where he learned braille and also braille music. His parents were avid readers and Terry, from a very early age, treasured the ability to read braille in many situations, including reading to his own children. Until the early 1960s, secondary school education for blind children was available only to a privileged handful. While Terry had no formal secondary education he believed education was lifelong and willingly learnt all he could. After leaving school in about 1944, Terry worked in the Foundation’s Braille and Talking Book Library. In 1947 he went to Wellington to teach braille for the Foundation. He mentored many young adults and families with blind children. In 1953, Terry returned to Manurewa and rejoined the Foundation’s Library. In 1965 he joined the Transcription Department at Homai College as a braille transcriber, ultimately becoming the department’s supervisor. Terry was a regular presenter on “Listening Post”, the monthly radio programme for blind listeners that ran from 1964 to 1978. Reading his talks from braille, he gave a quarterly summary of articles he had read in overseas braille publications. In 1976 Terry was awarded a six-month Winston Churchill Fellowship to study braille music at the Library of Congress in Washington D.C. On his return he set about lifting the standards of braille transcription, in particular of maths and music. In 1982 Terry presented a paper to the International Braille Conference in Washington D.C. that was a forerunner for the International Council on English Braille and the Unified English Braille code. He was the inaugural chairman of the Braille Authority of New Zealand which was founded in 1989. Terry was also a member of the Association of Blind Citizens of New Zealand serving as President and representing the Association on the Board of Trustees of the Foundation of the Blind. 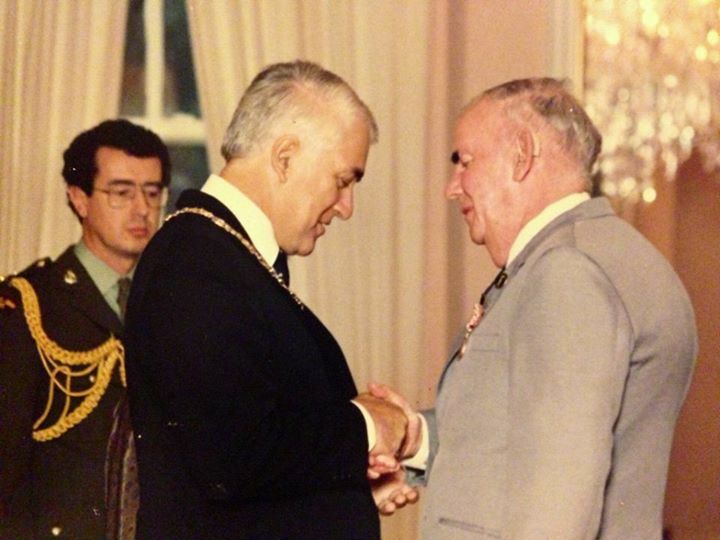 In 1988 he received the Queen’s Service Medal for his community work and dedication to braille literacy. Terry became a staunch believer in the value of technology in the lives of blind people. In 1989 he mastered the Keynote talking computer and emailed his friends around the world during the early development of Unified English Braille. Terry was an active amateur radio operator keeping his records in braille. He provided yachts’ crews with current weather forecasts and would raise the alarm if a yachtsman did not report in as expected. Throughout his life Terry Small strove to give blind children a better formal education than he himself had received. His passion for high standards of braille production and teaching to deliver literacy through braille was unequivocal and remains his lasting legacy to this day. Terry passed away on 28 September 1993.